After the convincing win the previous week FCC 3XI travelled to Rustingtion 3XI to take on the 10 men of Rustington. On a glorious sunny and warm day the skippers went to the middle and again Lamby called “heads”, again the coin fell on “tails” so two coin tosses and two losses. Hopefully not a trend that will continue! Unsurprisingly, FCC 3XI were inserted and with a very youthful side including two U15’s making their senior débuts (Alex Roberts and Josh Lambert) and in total 7x U17, U15 & U14 players in the squad we set about trying to put a decent score on the board on what turned out to be a bowlers wicket! Mike Metters (30) and Alex Roberts (11) opened up with a promising stand of 18 before Alex was caught at slip by an excellent catch. Wickets fell regularly and at 42-4 we were in trouble. Mike Metters kept the ship steady providing guidance to the youth in the middle as they came and went and when Mike eventually fell, bowled off his toe, the score had moved on to 89-7. FCC 3XI limped to the end of the 38th over before we were bowled out for a worryingly low score of 103. Rustington’s A Hassain finished with bowing figures of 9-2-20-6. After a good tea we regrouped and set about our task of bowling economically and trying to take early wickets. The skipper took the new ball with Drew Hammersley. Both started well keeping a tight line. Drew finished his spell with good figures (5-0-19-0). The skipper started off taking a wicket with the last ball of the first over and the first and last balls of his second over. After returning later in the game the skipper finished with miserly figures of 9-4-15-3. Poach further restricted the scoring of the Rustington batsmen by recording figures of 5-4-3-1 and took a wicket with his first ball! Meatball chipped in with a couple of wickets (5-1-15-2) and with wickets tumbling Rustington were looking vulnerable chasing a modest total of 104 to win. They found themselves 69 for 7 when up stepped Kai Hammersley who bowled superbly under significant pressure taking two wickets in his 6th over that turned the game in our favour. He was ably supported by his fielders with some sharp fielding and only two dropped catches that allowed Rustington to inch closer to their victory target, however two youngsters combined to take the final wicket with Alex Roberts taking a superb two handed catch running backwards to a ball that had been hit high. Kai finished with great figures of 8-2-26-3. Rustington were bowled out for 98 in the 38th over. Everyone contributed to this result and all the players should hold their heads up high. With the amount of youth in this team the future is bright – the future is Black and Gold – Up the Horses! A great game of cricket played in the right spirit and another fine win for the 3XI. 60 points from the first two games is an excellent start. Again, thanks go to Paul Judges for Umpiring. No game next week (12/5/18) so the next game is on 19 May. The new season saw LCPCC 3XI visit the home of the Horses for the 3’s only “home” game of the season. Thanks to the excellent preparation of the ground by our new groundsman and his band of helpers we were able to dry the pitch to a playable condition following heavy rain the previous day – Top work fellas and much appreciated! With a good mixture of experience and youth, the new skipper promptly welcomed the opposition and lost the toss on a damp pitch in overcast conditions. LCPCC 3XI inserted FCC and set about dismantling our top order. From 12-1 we found ourselves in all sorts of trouble at 42-4. Enter Chappers with his long handle! By the time Keffert fell with the score on 88-5 we thought a par score could be 120ish, however Chappers had other ideas. He blazed his way to a very well constructed 87 ably supported by the ex skipper Poach and Mark Byerley who both played key supporting roles. FCC 3XI eventually finished on 191 for 9, aided by 27 extras who were second top scorers. Buoyed by the big hitting of Chappers batting performance; LCPCC 3XI were struggling from the off. A mixture of tight lines, youthful enthusiasm and experience in the form of the excellent Sophie Whittington (7-3-16-1) and Steve “Smurff” Murfitt (9-1-24-3) saw the opposition reduced to 40-4 off 16 overs. Further wickets fell with the new skipper (Lamby) chipping in with a couple of wickets (7-4-7-2) and Poach bamboozling the lower order (5-1-14-2) leaving LCPCC 3XI in all sorts of trouble at 69 for 8 in the 33rd over. A change of bowling saw Meatball (3-0-20-1) and Pies (0.4-0-3-1) wrap up the innings with a wicket a piece. With FCC 3XI bowling LCPCC 3XI out in the 38th over for 108. A great start for the 3XI with the match being played in a great spirit. Thanks to our umpires Paul Judges and Alan Higgins (who stood in for the LCPCC umpire at short notice) and to Karen Whittington for scoring. 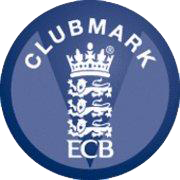 Also thanks go to Elaine Judges who input the scores onto play cricket due to the skippers access rights being removed!